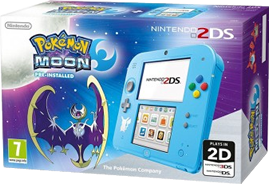 Nintendo 2DS Pokemon Blue edition console. Boxed. Case, Charger + Pokemon Moon.